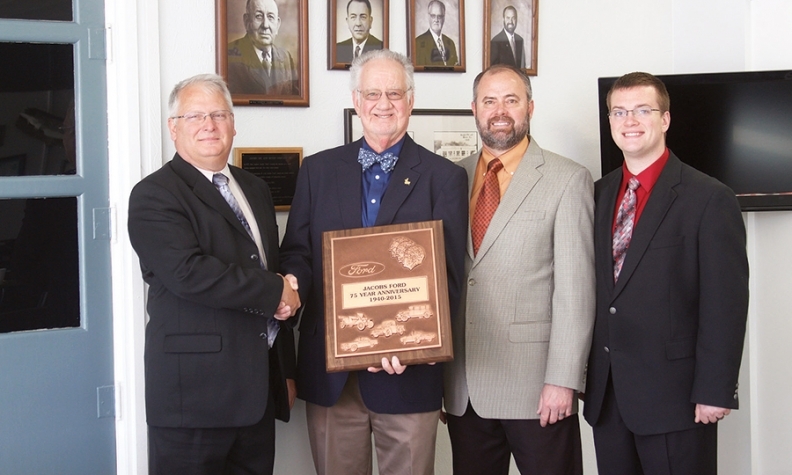 ABOVE: Members of the Jacobs family at Jacobs Ford in St. Paul, Neb., receive a 75-year award from Ford Motor Co. Pictured, from left, are Kevin Klossner, Ford’s Kansas City regional manager; William Jacobs; Bradford Jacobs; and Dustin Jacobs. 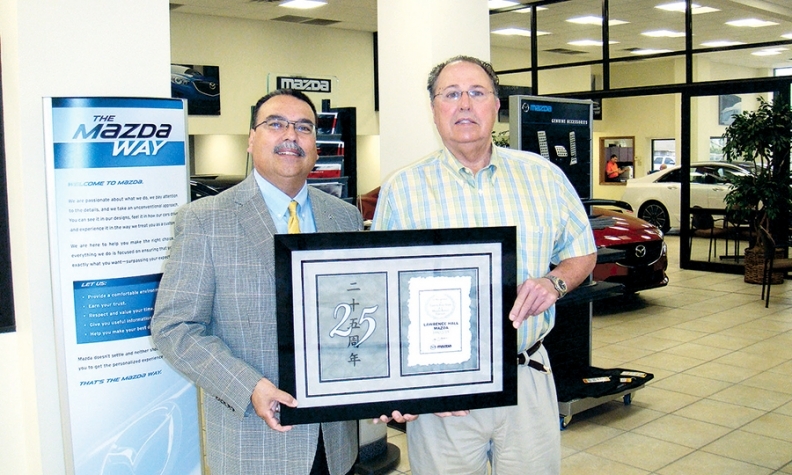 Larry Hall, right, dealer principal at Lawrence Hall Mazda in Abilene, Texas, receives a 25-year award from David Romero, district manager in Mazda North American Operations' Gulf region. 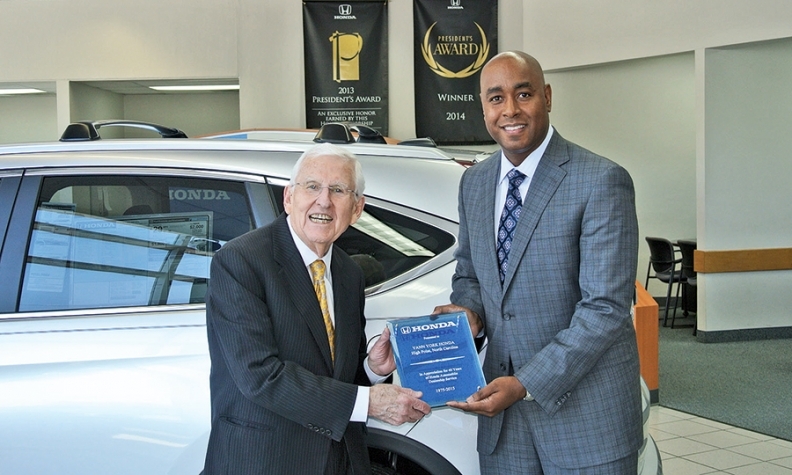 Vann York, left, of Vann York Honda in High Point, N.C., receives a 40-year award from Milford Barfield, American Honda Motor Co.'s district sales manager.